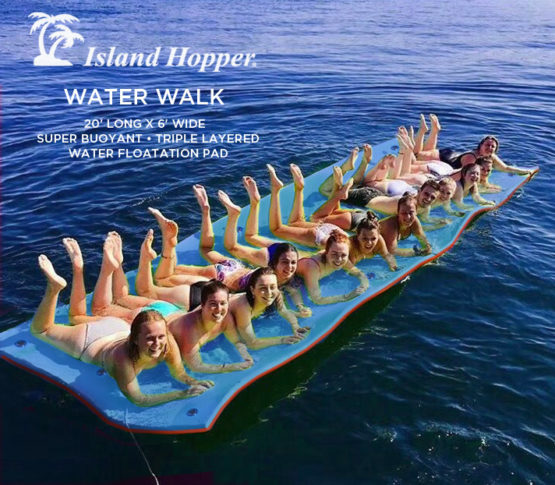 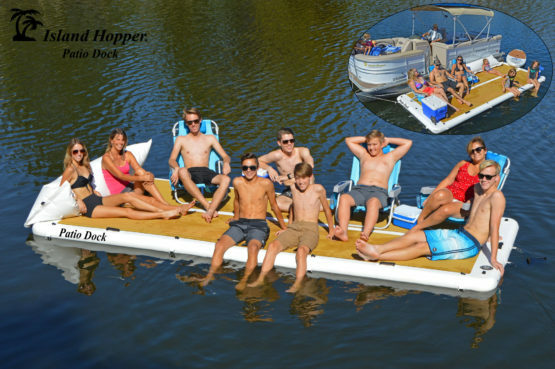 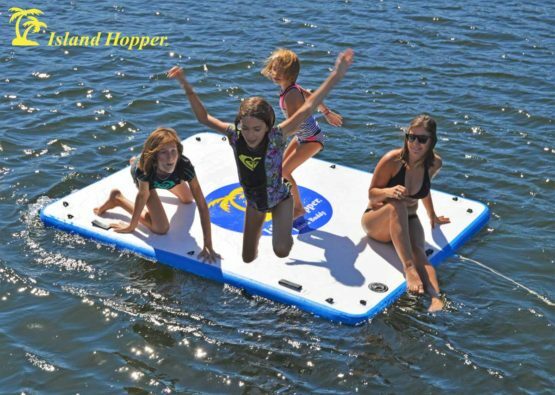 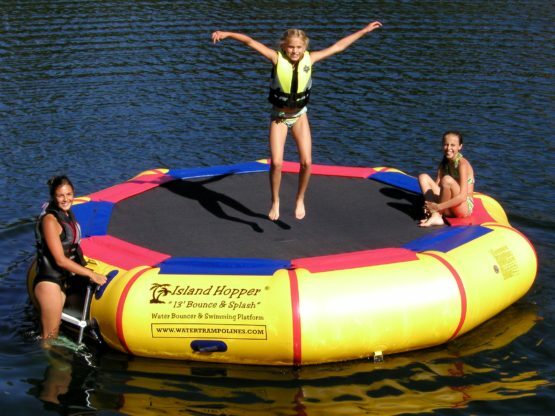 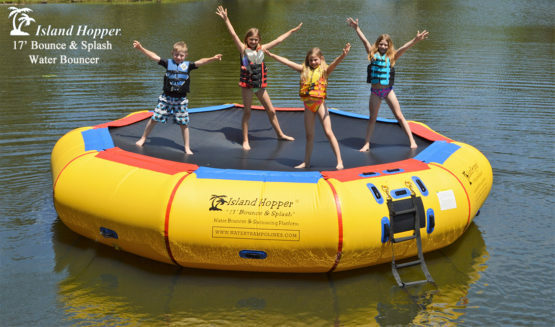 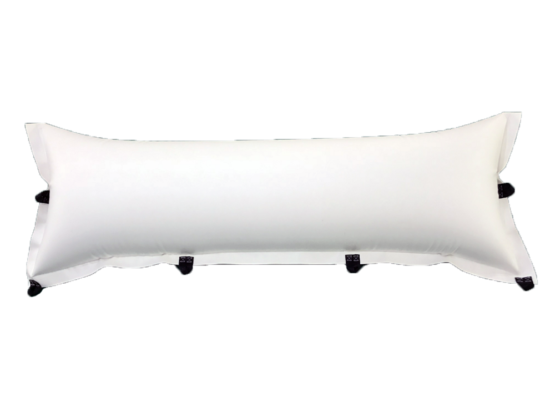 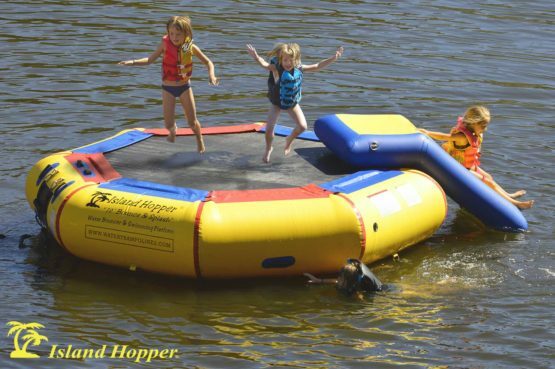 Island Hopper® offers 3 sizes of padded water bouncers. 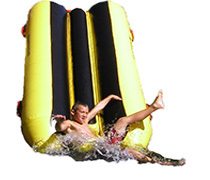 All are available with optional attachments. 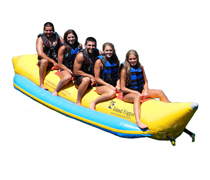 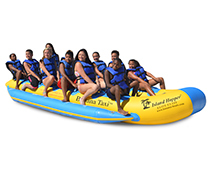 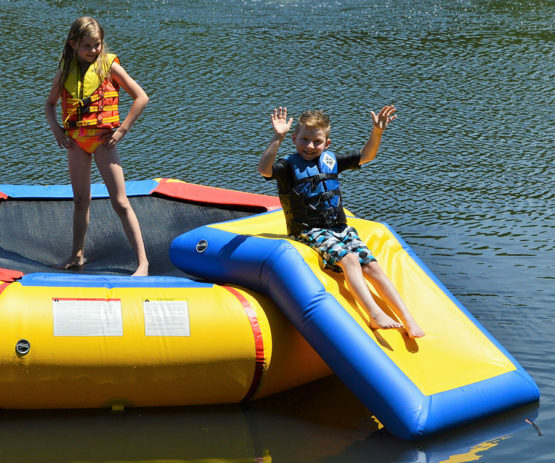 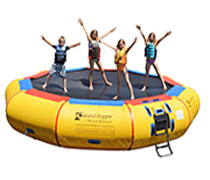 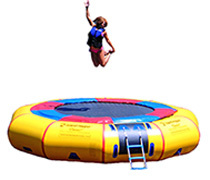 A water bouncer is a great family recreational product and cost less than a water trampoline. 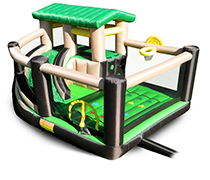 It will support a good amount of weight and will produce a short fun bounce. 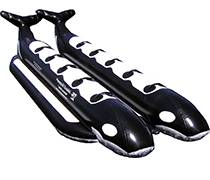 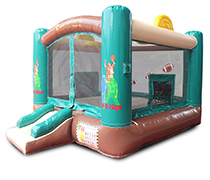 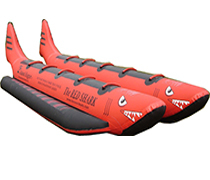 A bouncer does not require any assembly other than inflating and anchoring. 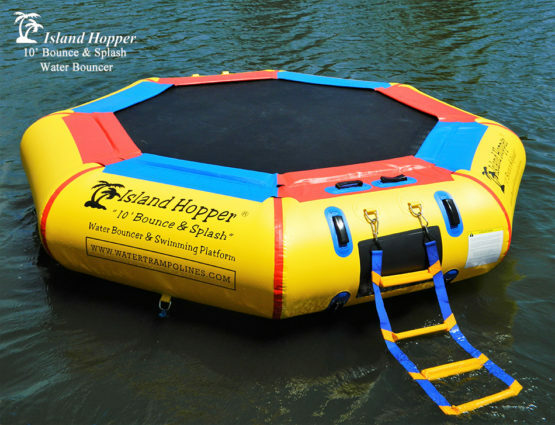 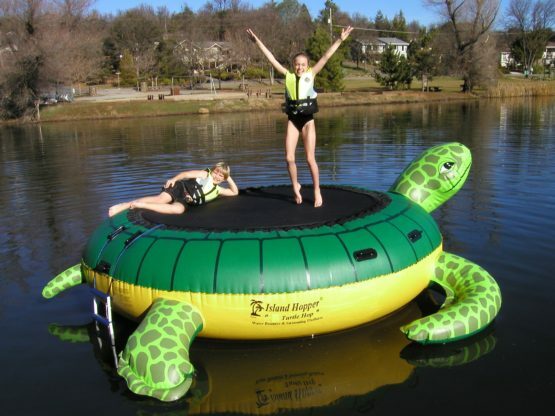 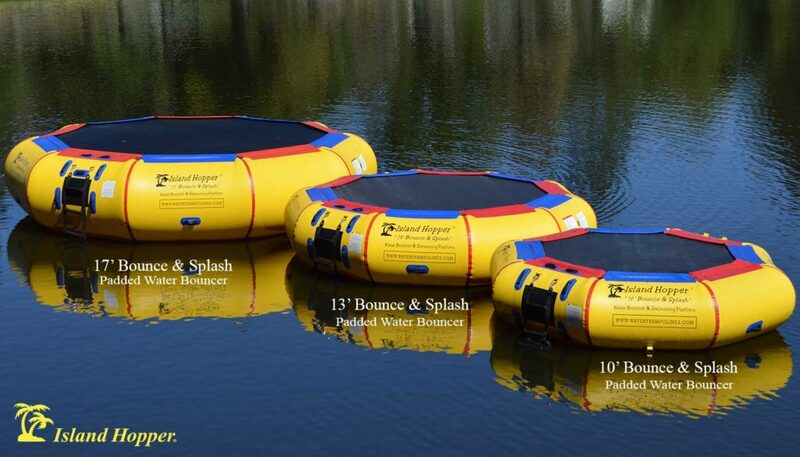 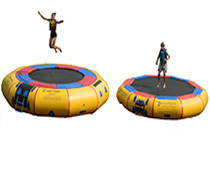 How to choose a water trampoline? 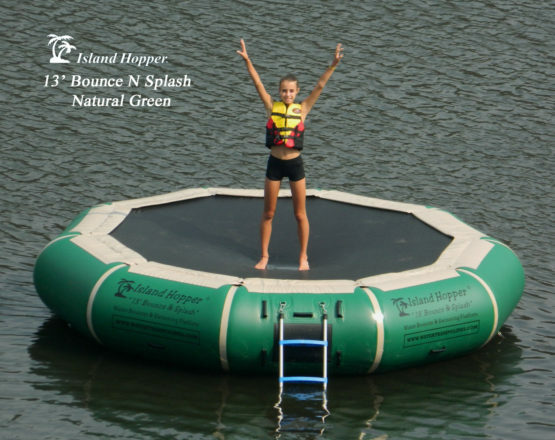 Checkout the framed water trampolines and water trampoline parks before deciding.